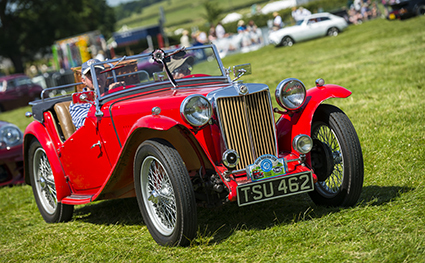 Blaston Show are again running the popular Classic Car Run & Display for 2019. Our host again for the start venue this year is The Fox Inn at Hallaton (LE16 8UJ) which is situated approximately nine miles North East of Market Harborough. The cars will leave from 10:30am on a 26 mile route, meeting up again at The Fox Inn by 11.45 am, before entering the show by a grand parade for the prize giving in the main Blaston Show ring. Bacon butties and Tea/Coffee will be available from The Fox Inn from 9.45am. Please arrive between 9:30am and 10:15am. Newer, interesting cars are very welcome to enter the run but will not be eligible for the ‘Best Turned Out’ competition. Advanced online entry is only £20.00 if received before Monday 24th June, or £25.00 on the day, and includes admission to Blaston Show for car and occupants, route instructions, entry in the ‘Best Turned Out’ competition (judged before the run!) and infield parking in the classic car display area at the show. Classic Cars not wishing to participate in the Classic Car Run are invited to show their cars (up to 1996 models only) as part of the static display at the show. 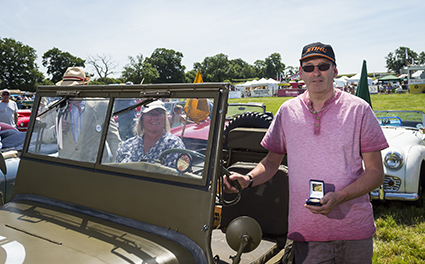 Entry is just £10 at the showground gate before 10:00am, and your vehicle is required to stay on display until 4:00pm. If you think you may attend, please email your details to the address above to help us estimate the numbers of classic vehicles to expect. If you wish to enter online, please use the Form below. For each Vehicle you wish to enter, please fill out the details below and click add to basket.